After exploring the North Island for more than 2 weeks, we took the Interislander ferry to Picton in the South Island. 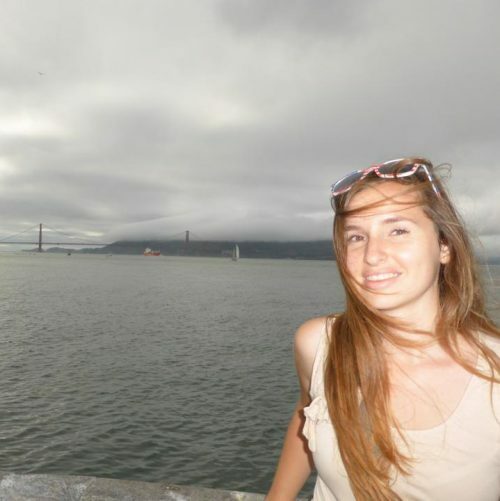 Our plan was to travel the South Island for another 2 weeks, before going to Asia. Our visit to the South Island started in Abel Tasman. Abel Tasman is New Zealand’s smallest National Park and is located in the northwest of the South Island. We spent 2 nights in Kaiteriteri, about 15 minutes away from the National Park. There are several ways to explore Abel Tasman: on foot, by kayak or by boat. We opted for the latter and booked a full day cruise. This cruise left from Kaiteriteri beach and took us all the way to the very north of the park. Along the way we passed by some gorgeous bays with pristine beaches. 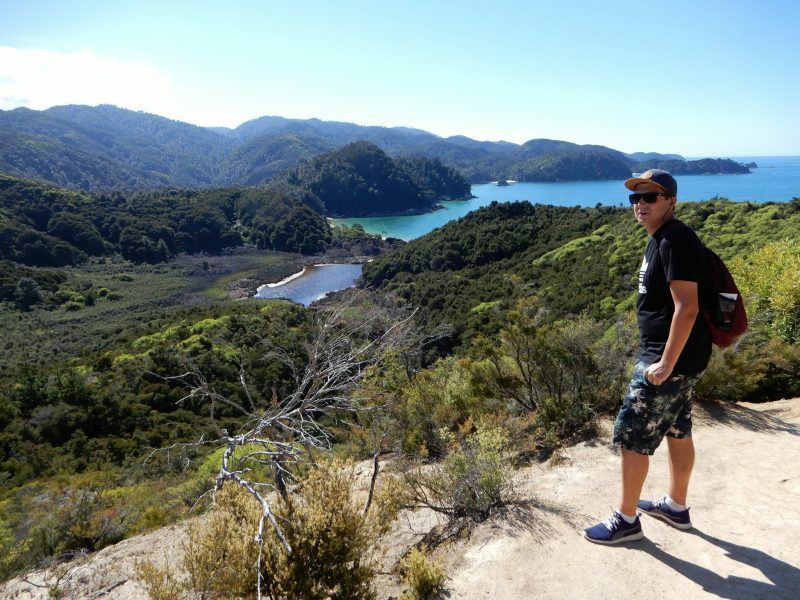 Abel Tasman is a beautiful National Park which makes you feel like you’re in Thailand and not in New Zealand. During the boat ride we also passed by Adelle Island where we got to see a cute colony of seals. After going all the way to Totaranui, it was time to go back to Kaiteriteri. We opted to hop off at Apple Tree Bay so we could walk part of the Abel Tasman Coast Track. For about 1.5 hours we walked along the gorgeous coastline until we reached Anchorage Bay. Here the boat picked us op and it was time to go back to Kaiteriteri. After our short visit to Abel Tasman, it was time for the longest drive in New Zealand: 7 hours to Franz Josef. 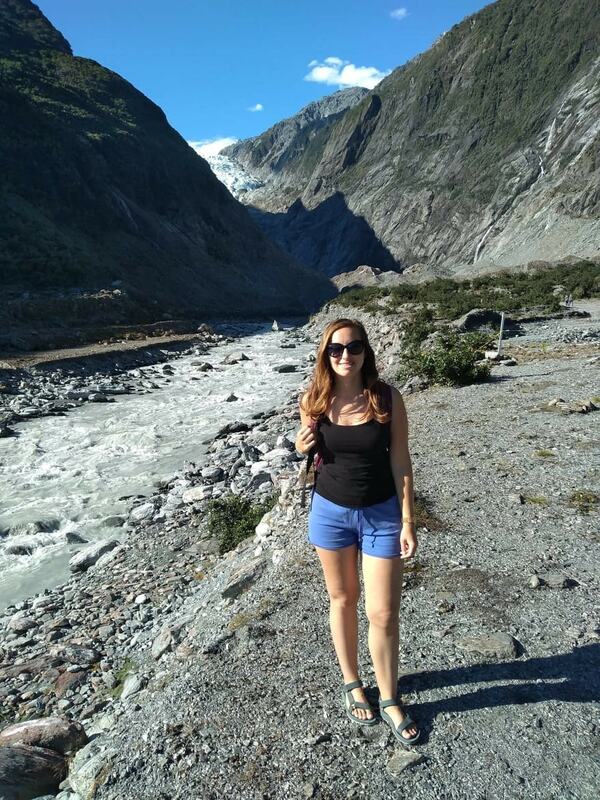 Here we had only scheduled 1 day to do the valley hike to the Franz Josef Glacier. Luckily for us, we went about 10 days before the storm and before the only bridge to Franz Josef collapsed. 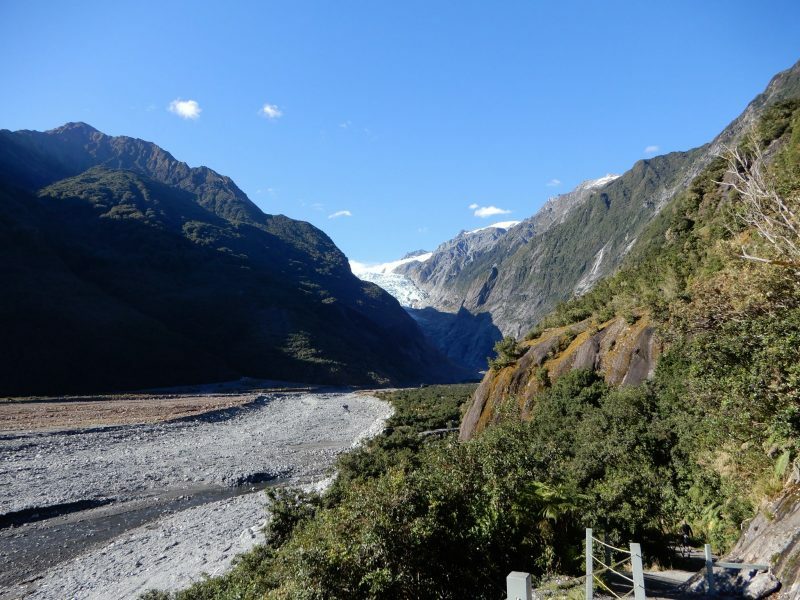 The hike starts from the Franz Josef car park and only takes 90 minutes round trip to complete. The track is very well marked and not difficult at any point. It’s also not very steep. We walked for about 45 minutes until we reached the end of the trail and got to see the glacier from about 600 metres away. After admiring the view for 15 minutes, we turned back and hopped in the car. Onto our next destination: Wanaka. On the way there we also stopped at Fox Glacier to do the Lake Matheson hike. This is also a very short hike (90min), but is ideally done during the morning when there’s no wind. If there’s no wind you can see a beautiful reflection of Mount Cook and Mount Tasman in the lake. However, since we went in the afternoon, we didn’t get to see the reflection at all. This was a bit disappointing and made the hike not very interesting or spectacular. Next destination: Wanaka. This place is mainly known for Roy’s Peak, probably the most photographed spot in New Zealand. We, however, didn’t hike Roy’s Peak for that very same reason. I had read you have to leave at 5 AM (or ideally earlier) to beat the crowds and to not have to queue to get your picture taken at the summit. We both weren’t too keen, so we opted for a good alternative: Isthmus Peak. This hike isn’t as well known yet and doesn’t attract as many people: perfect! We drove towards the start of the hike (about 25 min away from Wanaka) at around 9:30 and started the hike at 10. We didn’t see another soul for almost the first hour of the hike. From the summit we got an amazing view over Lake Wanaka and Lake Hawea. This was another advantage Isthmus Peak has over Roy’s Peak: we got to see both lakes from the summit. After lunch, we started the descent back to the car. The descent went a lot faster than the ascent, luckily, and after about 2.5 hours we were back at the car. On the way down we spotted a family of deer which was very nice because so far we hadn’t seen that much wildlife yet in New Zealand. 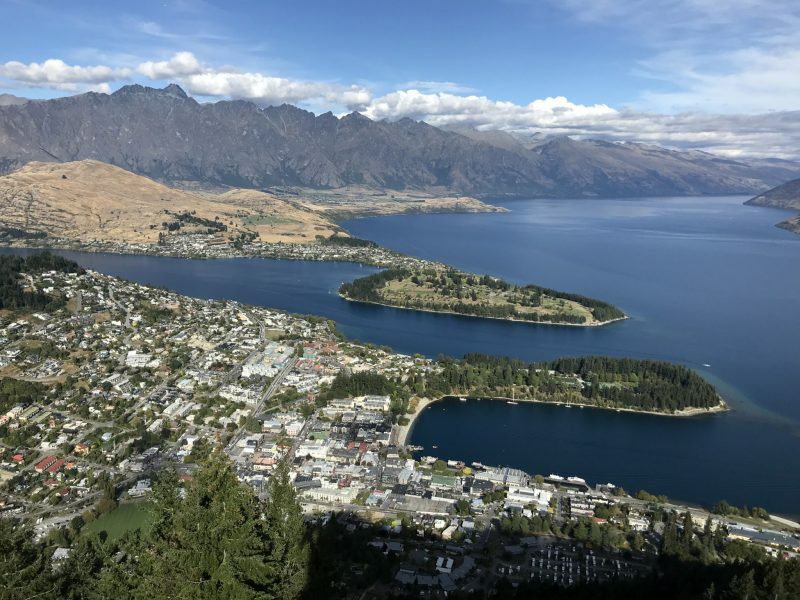 Our next destination in the South Island was Queenstown. Many people we know who’ve been to NZ said this was their favourite city. This is mainly because Queenstown is known as an adult playground. It’s the perfect spot for paragliding, jet boating, bungee jumping, canyon swinging, etc. Which means it was also the perfect spot for Simen! He really was in his element and booked several adventurous tours. 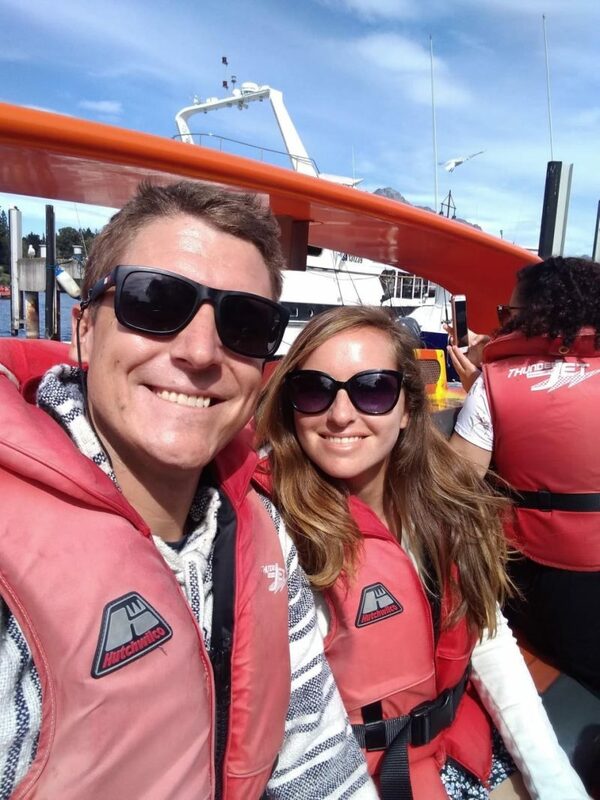 To start, we did one together: jet boating on Lake Wakatipu. We chose to go for an hour long jet boating adventure with Go Orange. 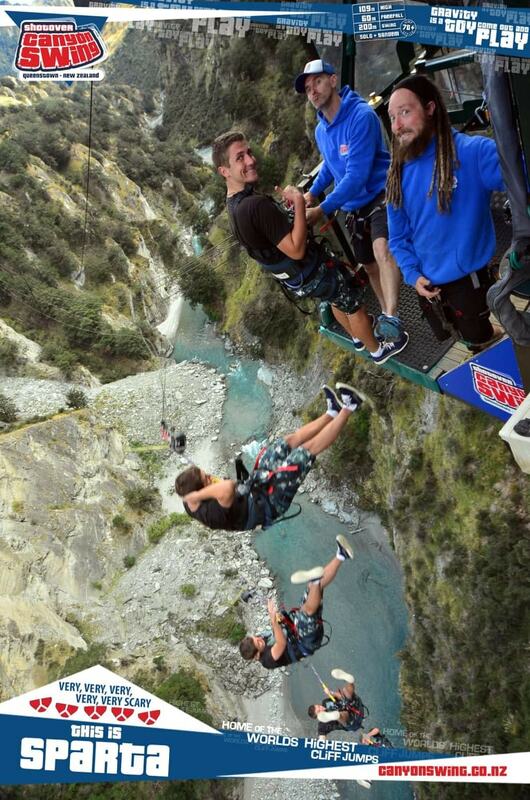 This was a lot of fun and the ideal way to see more of Queenstown and its surroundings. The guide took us up the lake and partly down the river while doing 360 degree spins. It was a lot of fun! After jumping out of a plane, Simen wanted to recreate that feeling you get when you freefall. Therefore, he chose to go canyon swinging, since this included a freefall of 60 metres. I decided not to come along since spectators had to pay 20 NZD just to be allowed to watch. Canyon swinging looks a bit like bungee jumping, but the rope isn’t attached to your feet but to your chest. The company offered 70 different ways to jump off the platform, such as sitting on a chair and being thrown off, being kicked off, running off, etc. Simen chose to recreate a scene from the movie 300 and was kicked off while the instructor shouted ‘This is Sparta’. After his first jump, he couldn’t get enough and signed up for a second jump. He clearly was in his element and was smiling from ear to ear when we met up again later. While Simen chose adventures full of adrenaline, I opted to take it slower and took the gondola up to get some nice views. 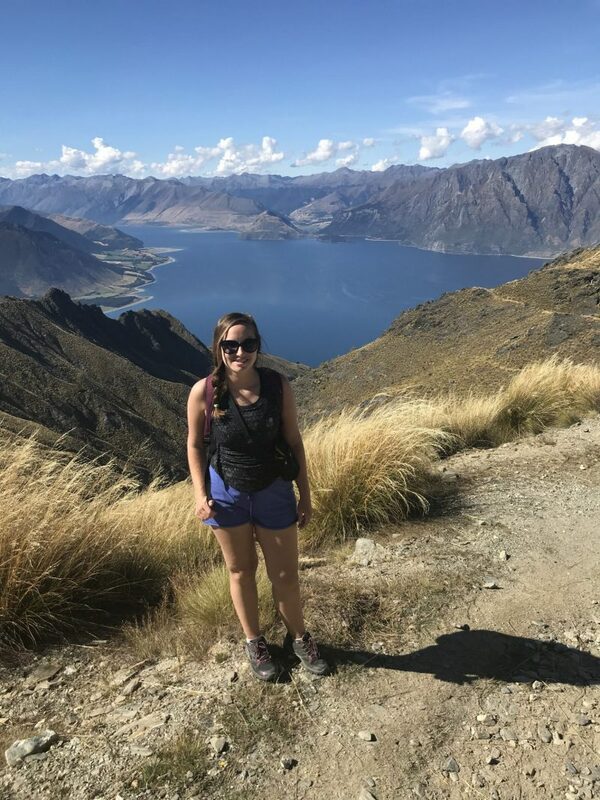 The gondola costs 39 NZD and takes you up to a hill from where you get amazing views over Queenstown, Frankton, The Remarkables, etc. I spent about 25 minutes up on the viewing platform, just admiring the gorgeous views. Although it’s definitely a bit on the pricey side for a gondola ride, I still felt the views were more than worth it. Before moving on to our next destination, we decided to go to the birdlife park to see kiwi. I felt like I couldn’t leave New Zealand without seeing at least 1 kiwi. 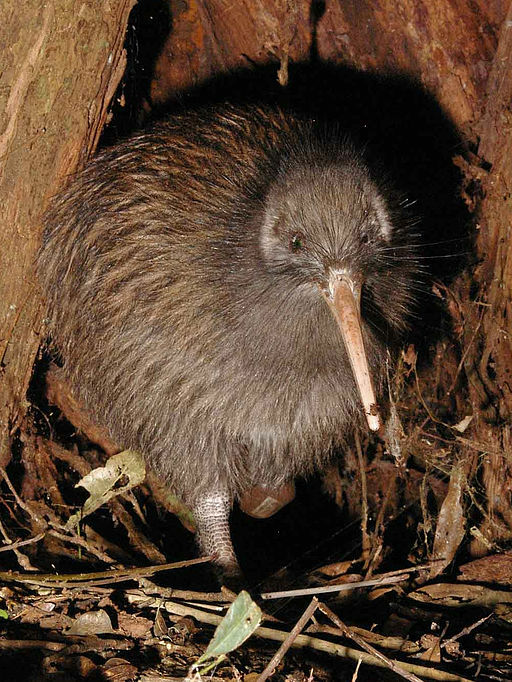 Since Kiwi are nocturnal animals, they are kept in very dark cages. We had to wait for about 10 minutes before our eyes adjusted to the darkness and before we managed to spot one. In total we saw 3 out of 4 kiwi, which is a pretty good success rate. During feeding time we were allowed to watch the kiwi, which were currently in mating season. The park ranger told us we’d be very lucky to see them mate, since not many people get to witness that. But luckily for us, the kiwi put on a show which involved some shouting, flirting and jumping up and down. Apparently we had witnessed something quite rare. After seeing the very cute kiwi, it was time to drive to our next destination, Milford Sound. More about that in the next blog! 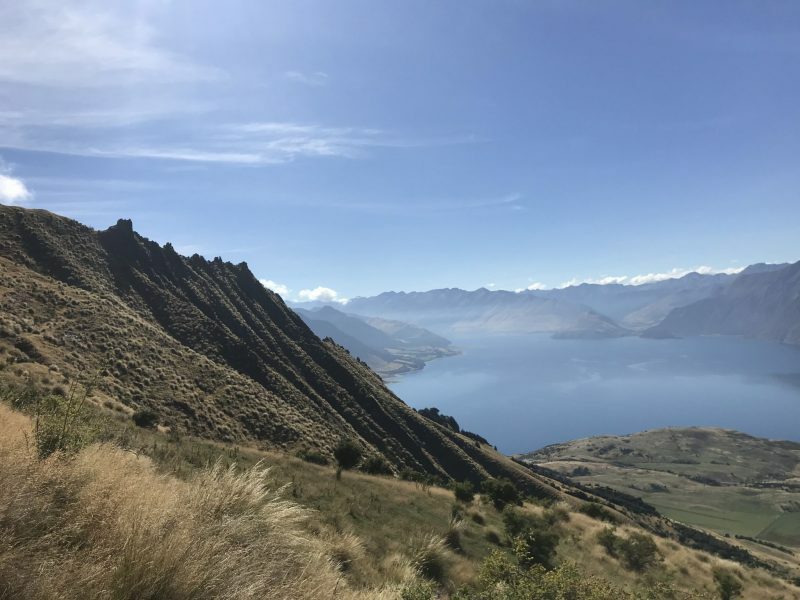 Read my previous blog “New Zealand Road Trip: Week 2” here.